We are all for cutesy baby gear, but the often-hidden chic parent in us also longs for a bit of sophistication — and Coyuchi’s 100% organic cotton swaddling blankets add a bit of understated style to your little one’s repertoire. The swaddlers come in plaids with lush complementary colors of tangerine or orchid — and they can serve multiple purposes as nursing covers, on-the-go diaper changing blankets, or even as a scarf for parents! As always, Coyuchi’s luxury organic products are woven in India, with the workers and collectives they have established a rapport with for over 20 years. We are all for cutesy baby gear, but the often-hidden chic parent in us also longs for a bit of sophistication -- and Coyuchi�s 100% organic cotton swaddling blankets add a bit of understated style to your little one's repertoire. The swaddlers come in plaids with lush complementary colors of tangerine or orchid -- and they can serve multiple purposes as nursing covers, on-the-go diaper changing blankets, or even as a scarf for parents! 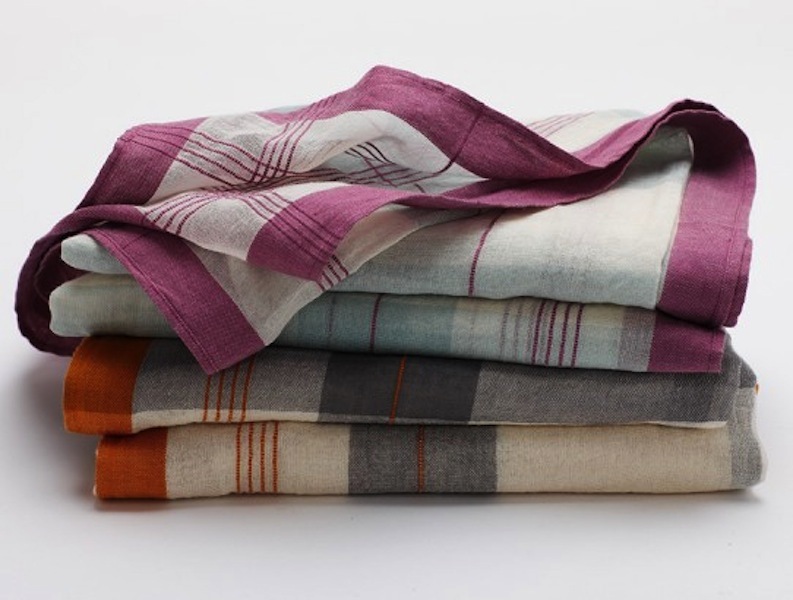 As always, Coyuchi�s luxury organic products are woven in India, with the workers and collectives they have established a rapport with for over 20 years.